Have you tried everything? Read every diet book out there and end up back where you started, maybe worse? Start off right this time with these fat-loss basics. To lose body fat part of the solution is decreasing calories. Being in a calorie deficit will help you lose weight. BUT losing weight and losing fat are two different things. Part of the problem is what you eat and when. Our hormones run our bodies. If you eat just based on calories there are many things that can hinder fat loss. You may eat too much of one macronutrients, like carbs or fat, lack vital nutrients that you get from a variety of foods, especially vegetables, fruits, whole grains and lean meats. Or you many eat too little causing the opposite of what you are trying to achieve. Calories are important but make sure you don’t cut calories so low you affect your metabolism in a bad way. Now from here…. If you are trying to maintain or make gains stick to the calories above. If you are looking to lose some fat without being excessive, minus 500 a day from your calories above. 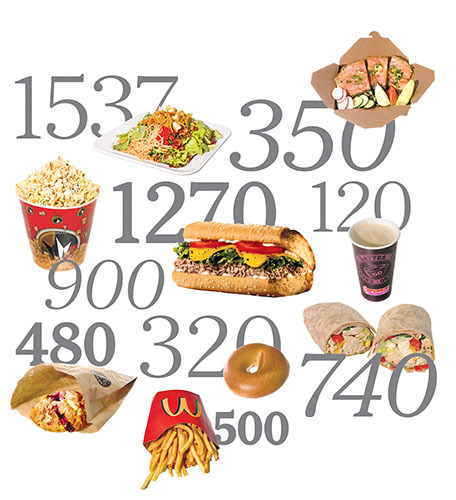 2,200 – 500 = 1700 calories per day. Counting calories daily can be pain staking to say the least. But there are great apps that help keep you in your calorie range without driving yourself crazy in the process. Most fad diets have you taking out one macro completely or cutting your calories so low you can’t function. Losing no more than 1-2 lbs per week is the goal. Anything more than that could mean excessive dieting and can lead to metabolic problems later on. Timing your nutrients, nutrient timing, is something I highly recommend to lose fat. This is based on hormones and the best times to eat certain macros. Check out my article next month for more on NUTRIENT TIMING! RELATED: Feeling Under The Weather? Might Be What You Are Eating. 2. Keep Your Portions In Check! Part of the reason why we gain weight isn’t just the foods we eat but how much we eat! 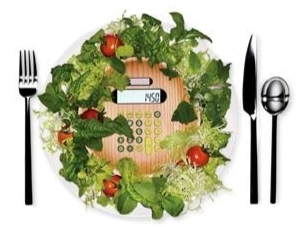 Counting calories when you are out for dinner with friends or clients probably isn’t something you want to do! But eating at a restaurant can be a calorie nightmare. Mostly because portion sizes at restaurants or fast food places are big or “super-sized”. But we can request to make changes to meals. Example: dressing on the side, cut out the sauces, choose grilled over fried, choose rice or baked potato over french fries. You can cut the meal in half and take the rest home for the next day! If you are against counting calories but still want to lose weight and not over eat, using tools to keep portion sizes in check are necessary. For protein, the serving should be the size of the palm of your hand or both palms for men. Starchy carbs should be no bigger than a cupped hand or two for men. Fat should be in smaller amounts but very important to add to each meal. You can increase the amount of fat if you are skipping the carbs! Vegetables are a freebie in my book! Eat as many as you can! When going to dinner parties or get together with h’orderves, use a small plate and don’t heap it. Go up once not 3 times. You don’t need all that but we think we do! Half the time we don’t even like 80% of what we put on our plate. If you are eating balanced meals this cuts cravings so you won’t want to load up your plate! Eat a higher protein meal with vegetables before going out. This helps prevent cravings. 3. Focus On Your Body Composition! Losing body fat is more important than losing weight. Weight loss can mean more than losing fat. If you are over dieting and working out too much, some of that weight loss can be muscle. This is what we are trying to avoid. 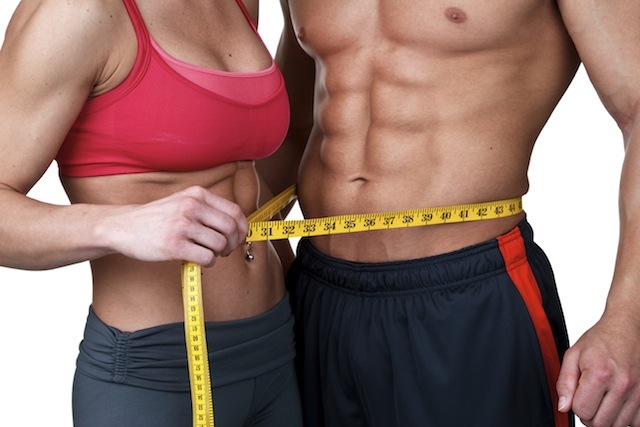 When starting a fitness program, get your body fat taken and measurements. Take your weight and times it by your body fat. This will give you your fat weight. Then minus your fat weight from your total weight. This is your lean mass. This number should not change unless it goes up. If you aren’t trying to put on a lot of muscle, at least try to maintain what you have. This will give you a healthy metabolism that will not only help you lose unwanted fat but also help you maintain the loss! If you don’t have access to calipers, there are scales that take your weight and body fat. Just use the same tool each time and you will know if you are going up or down. Hopefully down!!! Body fat and measurements keep you focused on the things that matter! Stepping on the scale continuously will only push you to the cupcakes! 4. Keep A Journal! So Important! I ask all my clients to do this. 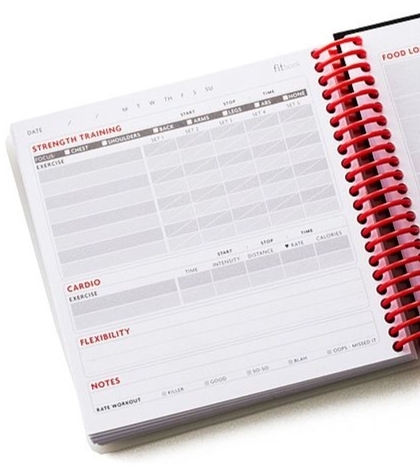 Not just to track food and workouts but also how you are feeling in general. How did you feel when you woke up? How did you feel after each meal? How did you feel a couple hours after your workout? How did you feel the next day from your workouts? Had a great day where you felt amazing!? Then document that! If I have a great day and want to feel like that again, you better believe I will repeat the steps I took that day. This could be from what you ate. Your workout or how you handled stress. All so important. Journals are a way of really seeing what is going on. You will be able to pin point your weaknesses and strengths. You will also start seeing what works and what doesn’t. No need to spin your wheels and have yo-yo weight loss. Fat loss and healthy habits are something we need to really work on and using the above guidelines can dramatically change how you look at your health and fitness. Leave your comments below and let me know what you do to make fat-loss easy!